Well before Seven Seas Explorer launched in July 2016, Regent Seven Seas was calling it the "Most Luxurious Ship Ever Built." That is a bold statement when it comes to ultra-luxury cruising. In many ways, the ship lives up to the billing, with extraordinary features and tiny details that will make even the most discerning passenger exceptionally happy. To begin with, the cabins -- they're all suites -- are beautifully designed and feature some of the largest balconies in the industry. (Balcony sizes range from 55 to 994 square feet.) At the very top is the Regent Suite, a two-bedroom, two-and-a-half-bathroom cabin that is so indulgent and well-appointed, passengers staying there might never want to leave. Then, there's the dining, with two restaurants that make their debut for the line on Explorer: Chartreuse and Pacific Rim. Food onboard is outstanding no matter where you dine, but the addition of the new specialty restaurants -- included in the price -- gives passengers more variety. The line's signature steakhouse, Prime 7, remains one of the best at sea, and its main dining restaurant options, Compass Rose and La Veranda/Sette Mari, set the bar high for "standard" cruise ship dining. The ship features more than an acre of granite and an acre of marble, almost 500 chandeliers and some 2,500 pieces of art, including works by masters such as Pablo Picasso and Marc Chagall. And that's not just in the public spaces, which are impressive. Suites feature incredible marble and stone detailing in their bathrooms and on surfaces like desks and bars. Those looking to poke holes in the "most luxurious" claim might point to the ship's entertainment, which is OK but not extravagant as one might expect. Likewise, the spa feels like it missed an opportunity to create a more expansive thermal suite complex, with features such as a therapy pool. But complaints in general are minor. With its over-the-top features and world-class dining, Seven Seas Explorer delivers a luxurious experience that feels like something special. Whether the ship is the world's most luxurious is a judgment call, but Seven Seas Explorer makes a good case. Passengers on Seven Seas Explorer are generally 60 and above, with a heavy percentage (around 80) hailing from North America. Australians and passengers from the U.K. are common as well. Passengers are well off, with a net worth of around $2 million, and most have cruised before, many with Regent Seven Seas. Families are in the minority, though children can be found sailing with their parents and grandparents during the summer or over holidays. Cruise Critic’s professional photographers and our extraordinary community members have taken 978 pictures of Seven Seas Explorer. When you visit our photo galleries, you can be assured that what you see is what you get. During the day, passengers wear comfortable clothing appropriate to the sailing climate. Poolside, bathing suits and cover-ups (for women) are common, though swimwear is not allowed indoors. Women wear shorts and T-shirts or blouses, capris, jeans, dresses or skirts indoors, while men go with jeans or shorts and T-shirts or polo shirts. At night, elegant casual is the name of the game. That means skirts or slacks with blouses or sweaters, pant suits or dresses for ladies; slacks and collared shirts for men. Jackets are optional, but they're fairly common. Jeans, T-shirts, baseball caps, shorts and sneakers aren't appropriate in any public space after 6 p.m. Cruises of 16 nights or more will include two optional formal nights, where women might wear evening or cocktail gowns or formal pants suits; men might wear tuxes or suits. Elegant casual dress still is appropriate even on formal nights. 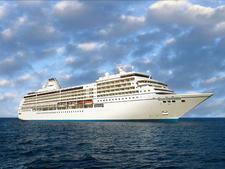 Cruises of 15 nights or less don't feature formal nights. The final night of the cruise allows passengers to dress more casually, but most stick with elegant casual. 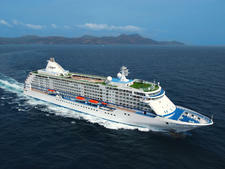 Regent Seven Seas is one of only a few truly all-inclusive cruise lines, and as such, a cruise on Seven Seas Explorer will be virtually hassle-free when it comes to figuring out what costs extra. Cruises on this ship include wine, spirits, beer, soda, water, coffee, tea and sports drinks, all gratuities, entertainment, dining (including at least one dinner at every specialty restaurant onboard), unlimited Wi-Fi, unlimited shore excursions and airfare. 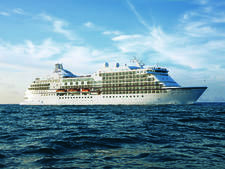 Cruises also include economy-class airfare for domestic flights and business-class airfare for intercontinental flights for U.S. passengers. 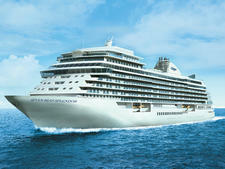 The cruise also includes use of the ship's thermal suite, regardless of whether you have booked a spa treatment. A concierge staff is also available to anyone, 24 hours a day. Depending on cabin category booked, items such as flight upgrades, hotel stays and transfers to the port might be included.